You can probably recognize Dickies medical scrubs a mile away by spotting the famous red tag. The logo isn’t what makes Dickies unique, but it does promise quality. This famous American workwear brand got its humble start in Bryan, Texas in 1922. In the nearly 100 years since its founding, Dickies has embodied the commitment and determination of the American worker. 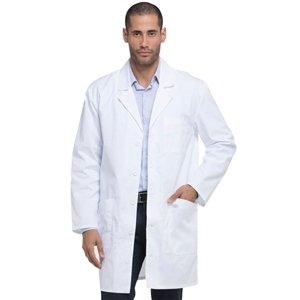 Dickies continues its tradition of service to hardworking professionals through the design and style of its scrubs and medical uniforms. Men’s Dickies scrubs feature breathable yet hardy fabrics and utility pockets. Dickies scrubs for women stand out from the rest with a variety of bold colors, as well as plentiful pockets. Nurses, dentists and medical professionals who choose Dickies scrubs never have to sacrifice style or comfort to have the practical features needed to care for patients.